Demand for investment gold rose by 4% in 2018 according to World Gold Council statistics, with the highest central bank buying for 50 years. The slowdown in the global economy is causing a headache for national treasuries, with governments increasingly concerned about currency volatility and trade difficulties. The US/China trade war as an act of American protectionism has had a widespread impact on supply and demand, and the longer it goes on the greater the perceived risk. The main concerns politically and economically are the US/China dispute, the Eurozone’s growth slowdown, and Brexit. For the EU it is the worst of all scenarios, given that the weakened growth is being further punished by the US/China trade tariffs hurting native economies and the concern of Brexit removing the UK from the single market. Following Theresa May’s spectacular Brexit defeat it seems likely that the UK will continue to be stalemated over Brexit for months to come, and with talks between the US and China breaking down, it might be at least until the spring before any new progress is made. The International Monetary Fund (IMF) are forecasting that the global economy will only grow by 3.5% this year, with Forbes and Bloomberg amongst the many news outlets reporting the risk of recessions across the world. Italy has recently entered recession, and it is likely that other nations such as Turkey will follow suit soon. Update: As of March, figures from the European Central Bank and the OECD (Organisation for Economic Co-operation and Development) report that growth in the Euro area will be down to 1% in 2019, while wider global growth will be down to 3.3%. Germany, the UK, and Turkey are the biggest losers. In response to the concerns of weak growth, the likes of the Bank of England and the US Federal Reserve have already hinted at no new interest rate rises in the near future – with the European Central Bank one of the closely watched sources. Europe’s top bank has only recently finished its quantitative easing program and, while the confidence to withdraw the safety net is a promising sign, it could expose the EU to wider global difficulties. Update: As of March, the ECB has claimed it will not raise rates for the entirety of 2019. January has gone well for the stock markets – their best performance in 30 years - but it was only last month that the FTSE 100 registered a two-year low in keeping with the recession fears. Veteran economist David Buik took to Twitter to point out that the FTSE’s lows meant that the London exchange had effectively made no gains since 1999. The rule of thumb for analysts is that January’s performance can indicate the rest of the year, but January 2018 was similarly strong and the disappointing economic data release throughout the year led to market sell-offs across the Dow, S&P and Nasdaq in the autumn. Gold in USD is currently at $1,322.88 – up over $100 per ounce since mid-November. 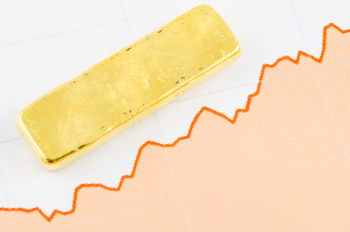 Currency volatility has seen domestic prices fluctuate but the outlook is good for gold. Despite slowing growth and concerns over credit debt, China’s annual investor demand stayed roughly even in 2018, while demand in South-East Asia and the UK rose by up to 12%. Mining firms Newmont and Barrick Gold both made the news in recent weeks, with Newmont Mining purchasing Goldcorp and Barrick acquiring Randgold – a sign that there is interest in development in the gold mining industry. The expectation is that gold will continue to gain value. Analysts forecast consistent prices above $1,300 per ounce this year, with some suggesting that gold – in the right (turbulent) circumstances could surpass the psychological $1,360 barrier – the common line of resistance for the price of gold in USD terms. $60 might seem a small gain but it’s a key indicator of strong sentiment for gold and low confidence in currencies, and historically beating this milestone leads to much higher gold prices. The January boost in stock value has surprised and impressed experts all over the world as the markets reach record levels. The S&P500 Index is up to 2,747 points and the FTSE 100 is sitting at around 7,724 points, with Goldman Sachs reporting that the world economy is outperforming predictions for the first time since 2010 at a 4% growth rate. The Daily Telegraph offers a positive outlook for investors: statistically most years with a global stock price rise in January see prices continue rise throughout the whole year. Business Insider reports similar opinions about the US stock market, with experts from UBS, HSBC, Merrill Lynch, and JPMorgan all agreeing that stocks should rise at least another 100 points, if not by several hundred more. The boom for stocks is good for the world economy but traditionally bad for gold. When stock markets do well the need for gold drops off and sales usually follow, but a Reuters article from November 2017 pointed out that as stock prices rose last year the demand for gold remained; acting as protection against exposure to avoid another 2008 style market crash. Stocks might not be knocking the value of gold down, but increased currency strength could. The US dollar has been fluctuating in value for the past year but is now steadily rising in value – a worry for the price of gold. There are fears that the Federal Reserve could increase interest rates in 2018 to bolster the increased value of the dollar, which would hurt gold prices. Fortunately for gold investors the US dollar is not stable. In 2017 the dollar’s value moved up and down based on President Trump’s proposed infrastructure plans and tax reforms, and Russia and China are both stockpiling gold ahead of a move away from the US dollar as the reserve currency. In 2018 the US government sees a fresh round of elections for the House of Representatives; elections that usually see the opposition party take control of the house. Control here for the Democrats would stall the President’s proposals, but there are fears that the US may also enter a trade war with China and impose tariffs due to the Chinese state’s subsidisation of the steel industry. Either of these issues would hurt the US dollar and drive its value back down. For Pound Sterling it’s a different story. The Bank of England has already raised interest rates in the UK and the effects were positive on the value of the currency, but this minor improvement has done little to reassure financial experts from the likes of Morgan Stanley, Commerzbank, Investec and Deutsche Bank, all of whom suggest that Sterling’s value will stay uninspiring for the foreseeable future. A significant driving factor for increased gold prices in 2017 was the nuclear missile tests carried out by North Korea. Every test saw a corresponding rise in gold prices and despite a new-found willingness to enter talks with South Korea, there seems no end insight for this missile program. The additional driving factor for 2018 will be income growth. The world economy is growing. India has recovered from the government’s radical demonetisation program late 2016 and has renewed its interest in gold as a commodity. China too has shown renewed interest in gold bullion, while Germany and the USA are both reporting continued reductions in the unemployment rates, which in turn are boosting economic output and the ability to invest in precious metals. The stock markets are doing well, gold hasn’t suffered at its expense, Dollar and Sterling values are uncertain, and international disputes are in full swing. The stage is set for gold prices to rise strongly in 2018. Generally speaking, the gold price forecast for 2017 is a mixed bag. With many of the conditions that aided last year’s rally still at force, there is a general, if understated belief that this gold bull market is sustainable . However, many believe that the increase could be limited by increased interest rates in the US, with as many as three hikes expected in 2017 after the release of positive economic data boosted confidence in the strength of the US economy. RBC has predicted gold to trade at an average of $1,245 per ounce and $1,303 in 2018, with 3 rate hikes priced into a low of $1,200 and an annual high of $1,300. Goldman Sachs analyst Abhinandan Agarwal has also claimed that the proposed increases to US interest rate hikes could be a considerable negative catalyst for gold in the coming year, with the extra incentive to save likely to curtail some of last year’s demand for gold. However he also believes that the scale of this downturn could be offset by some of US President Donald Trump’s policies . Protectionist policies such as trade barriers and border adjustment tax could prove to be detrimental for US growth, prompting safe-haven inflows into gold . HSBC’s James Steel appears to agree with this point of view , claiming that in the long term this gold bull market is still very much intact . He claims that despite fear over the fiscal cliff, Chinese economic slowdown and economic catastrophe in Greece apparently subsiding, the long term outlook for gold is positive . Steel pointed to the fact that on the COMEX, over the last 12 years, on no single week have the net longs, mainly made up of hedge funds, been shortened , even if the extent of some longs have been reduced. He affirms that despite a potentially lower pace in the coming year, the longevity of this bull market should not be questioned. Low interest rates are likely to continue to contribute to this. Should the CPI continue to outpace interest rates hikes, savers will surely look to alternative investments in a world of negative real interest rates. When putting money in the bank becomes an expense, solid assets such as gold become more attractive. Joni Teves of UBS supported this in an LBMA report, predicting an 8% rise in the gold price in the coming year . He listed stagnant interest rates amongst a list of reasons, including elevated macro risks and a belief that the dollar has peaked, behind his forecast of an average gold price of $1350/ oz t in 2017. This view is not shared unanimously amongst the other contributors to the LBMA report , who have predicted on average a 0.5% drop in the gold price. Reasons for lowered expectations included positive economic data in the US, notably the unemployment rate, which dipped in January. Improved jobs data presented a catalyst for March’s rate hike, which could prove to be negative for gold. With up to three more proposed for 2017, a higher incentive to save rather than invest in safe haven assets could lower demand for gold. However, much of this depends on the pace and scale of these interest rate hikes, and the dovish tone of the Fed in this month’s meeting indicated that further interest rate hikes are not as certain as first believed. Rising inflation is also a potential concern. Should the pace of inflation get out of hand, then investors will flock to gold as a means of maintaining the value of their wealth . Furthermore, conditions in Europe are well suited to another gold rally . Last year’s steep increase in the gold price was in no small part aided by the reaction to Britain’s decision to quit the European Union. With populist fervour rising around the globe, and several key elections to take place within Europe in 2017 , further victories for Eurosceptic parties could lead to more withdrawals from the European Union. Such an event would almost certainly spell the end of the euro and such a monumental currency collapse would almost certainly see huge inflows into safe-havens such as gold . Opinion within the industry appears divided as to what the gold price is going to do in the coming twelve months . The new year has so far seen a general upturn in the price of gold, with the precious metal’s value increasing. In the context of an overall drop since September 2011, it is uncertain whether this recent change is indeed the beginning of a bullish gold market, or merely a short-lived moment, with the bottom yet to have been reached. However, given the ongoing difficulties being faced in the global economy, there remains plenty of reason to believe that prices could continue the upward trajectory that we have witnessed so far in 2016. UBS have predicted an average price of $1,250 for the year, a solid improvement on 2015. This, combined with wider market turmoil, could see prices shoot up as demand increases given gold’s historic appeal as a ‘safe-haven’ during uncertain economic times . Major stock exchanges such as the FTSE, Dow Jones, CAC 40, and the Shanghai Stock Exchange all experienced negative years in 2015 and such a trend looks set to continue in the coming months. A 60% jump in the Chicago Board Options Exchange Volatility Index over the last three months demonstrates an extreme lack of confidence in the stock market that could strongly influence demand for gold bullion . Such a view is shared by DoubleLine Capital CEO Jeff Gundlach , who believes that gold could rise by as much as 30% to around $1,400/ Oz . He stresses gold’s popularity as a diversifier as the reason for its growth amidst a troubled global political and economic environment. 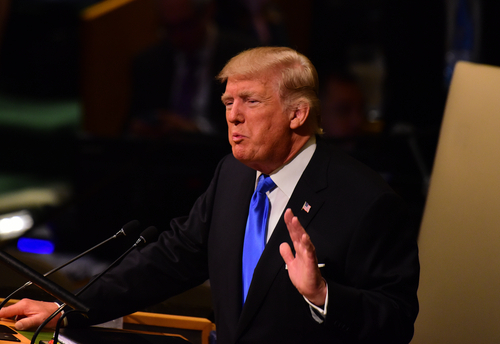 He lists the continued downgrading of global growth , the prospects for a ‘full-on bear’ USA market with most stocks down 20% from their peaks , and the poor performance of other commodities and emerging markets as justification for a largely pessimistic economic outlook for 2016. Gold’s defiant performance in an otherwise bearish commodity market indicates that it is the safest place to invest at the moment, and demand could be set to increase over the coming months .